Review: "Earth Witch: Out of the Shallow" - Sea of Tranquility - The Web Destination for Progressive Music! 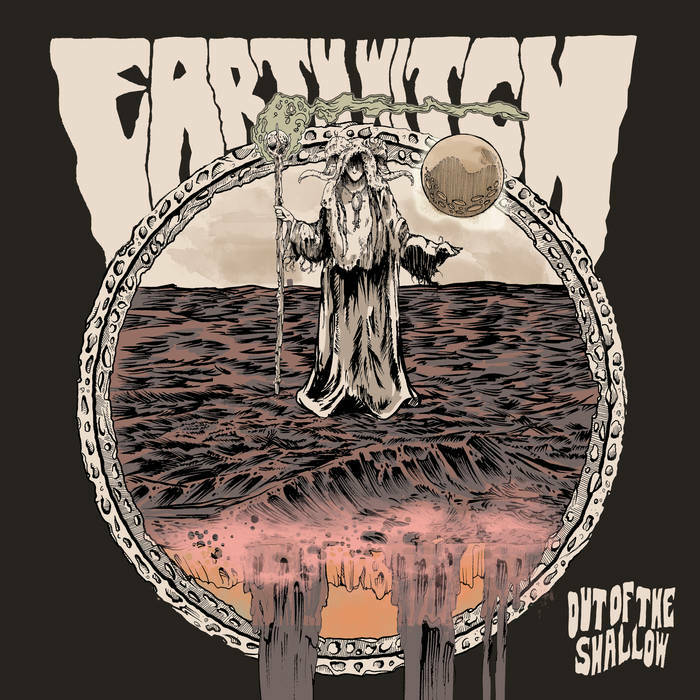 Out of the Shallow is the debut from the Illinois trio that call themselves Earth Witch, comprised of Ivan Catron (Guitar/Vocals), Nathan Landolt (drums) and bassist Derrin Coad (bass/vocals). With nine new original songs steeped in Black Sabbath, The Sword, Red Fang, Kadavar, and even a touch of Thin Lizzy, these guys have a lethal sound that blends doom, psychedelia, and blues rock for a winning formula. Catron's riffs are thick and monstrous, pushing tunes like "Lovecraft" and "Starfighter" into overdrive, and he's a hell of a lead player as well, in some spots overdubbing in some dual lead guitar harmonies for that classic Lizzy feel, but he's also a clear Tony Iommi fan as well. The ominous, doomy "Butterfly" shows another side to the band, as menacing, Jim Morrison styled vocals burst underneath a haze of of massive riffs and atmospheric psychedelia. "Riff Rider" is just that, a cavalcade of killer blues metal riffing, which continues on the blistering "Green Torch", the fuzz & wah-wah dripping from every crevice, and the absolutely killer "Pilgrim" lays everything to complete annihilation, a pure headbangers delight that will leave any fan of vintage Black Sabbath and Pentagram wanting more. And, then you have the fist pumping dirge "Earth Witch" that closes out the album, chock full of distorted riffs and grooves galore, with a nice touch of psych inspired noodling to close things out. I can't fathom how most of the major metal labels won't be knocking at Earth Witch's door looking to sign them up after hearing Out of the Shallow. This is outstanding stoner/doom of the highest order, easily one of the best newer bands I've heard in years. Remember the name Earth Witch...my prediction is you'll be hearing lots more from them in the not too distant future.